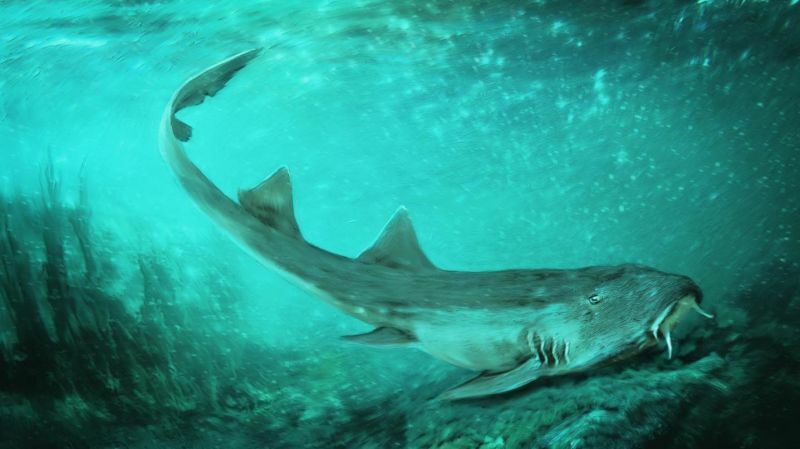 Galagadon, a freshwater shark from the Cretaceous Period, is related to a group called carpet sharks found in Indo-Pacific seas today, and measured 1-2 feet in length, with teeth the size of a sand grain, about four-hundredths of an inch (1 millimeter). 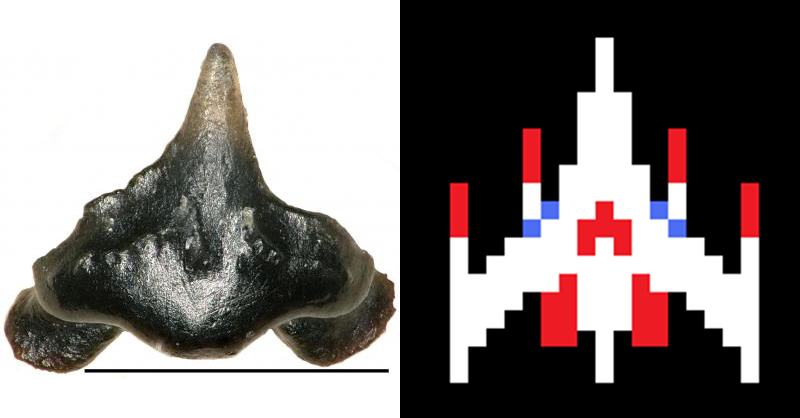 However, these teeth are shaped just like the spaceships found in the 1981 Japanese arcade game Galaga, which is the sequel to 1979’s Galaxian. Read more for an artist’s depiction of an actual Galagadon shark. 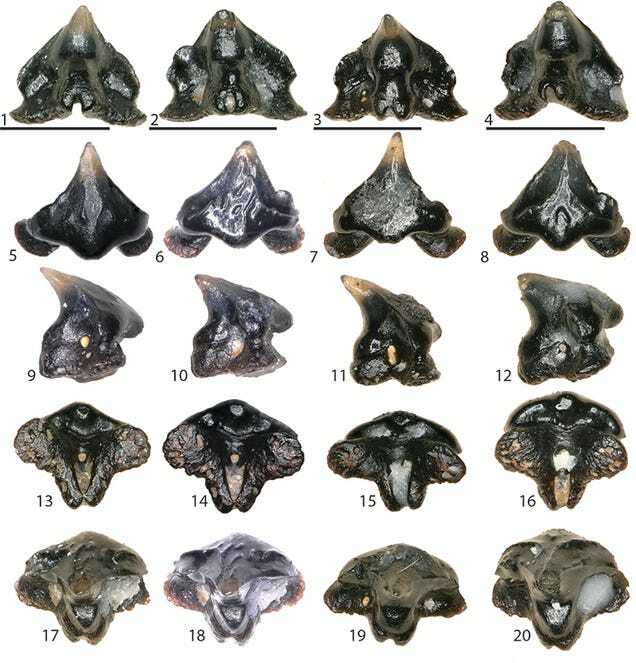 “Thankfully, the shark teeth in our study indicate a close relationship to living carpet sharks so we have reasonable inferences on their ancient lifestyles. Teeth are usually good indicators of diet for obvious reasons. These kinds of reconstructions are usually harder with other extinct animals, such as non-avian dinosaurs, in that they differ quite significantly from most living animal analogues,” Eric Gorscak, a paleontologist at the Field Museum and a co-author of the new study, told Gizmodo.